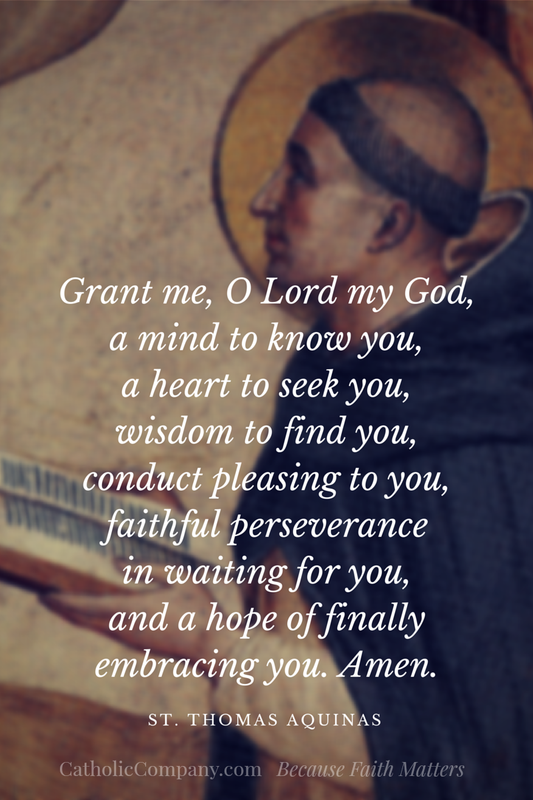 Blessed feast of Saint Thomas Aquinas! One of the great saints is liturgically recalled today with the feast of Saint Dominic de Guzman. The founder of the Order of Preachers, who ws once a canon and a close collaborator with his bishop cared for the whole person in front of him with great humanity. 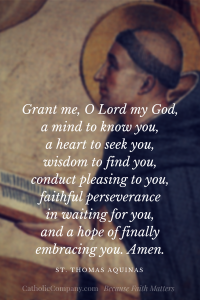 The spiritual sons and daughters of Dominic carry with them the charism of being loving preachers, merciful confessors and engaging defenders of the Faith. 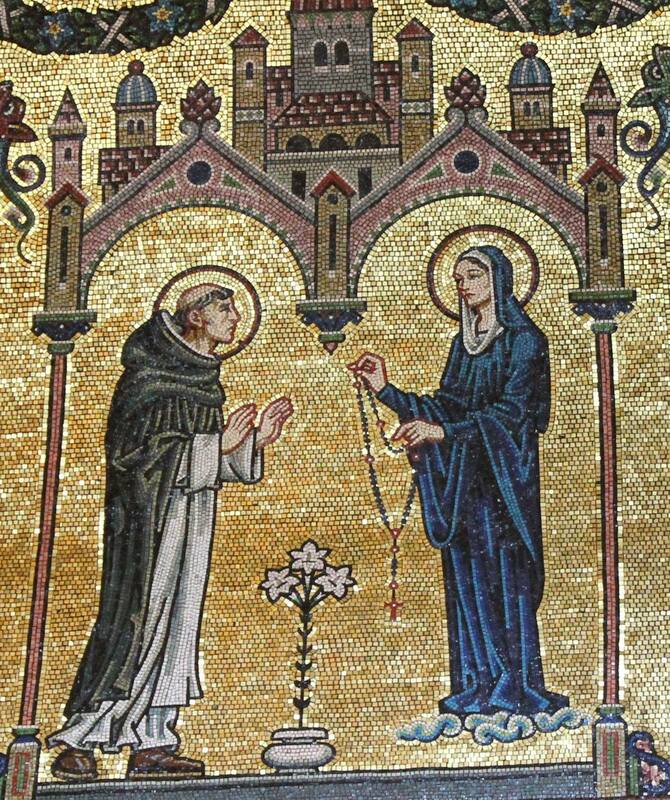 Tradition tells us that Our Lady gave the rosary to Saint Dominic to promote and to live. In the living of the mysteries of the rosary one lives the Paschal Mystery of Jesus; remaining close to devotion prevents sin and error and thus maintaining the authentic Christian faith. 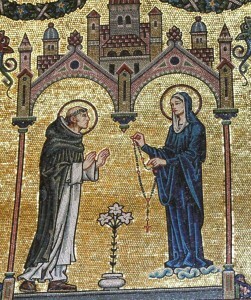 The photo shows the mosaic panel of St Dominic being presented with the Rosary by Our Lady in the Cathedral’s Lady Chapel. Today, the Dominican family rightly rejoices in their brother Saint Thomas Aquinas, the Angelic Doctor. Thomas is one of Holy Church’s greatest theological minds. 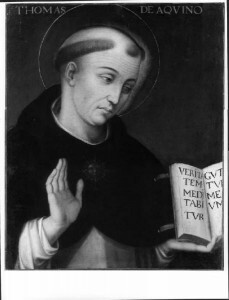 One can speak of all the things Aquinas has given us, and we can speak of the need to have Thomism as a way to begin to come to understand Divine Mystery; we’re not there yet. Aquinas would certainly agree: you can know it all but unless you live the Christian faith you really have nothing. The opening prayer for Mass today speaks of Aquinas’ zeal for holiness as the first premise; understanding and imitating the accomplishments is secondary. The Prayer after Communion speaks of Christ the teacher, Christ the living bread, truth and the need to express all these things in works of charity. Works of charity are an expression of the Good News given to us by the Lord. The priest at Mass today reminded us of a fact that I tend to fall into errors that are all-too-common: on the one hand we can say, “I know it all” and on the other hand we can say, “I don’t know enough, I can never measure up.” One attitude is arrogant, keeping the faith as an idea, with very little attention to the heart. The other attitude is simplistic, silly and rooted in a false humility and laziness. Both are straw, grass clippings as Aquinas would state. What both have in common is a the theological virtue of charity. Charity connects us with the Divine Mystery. Most certainly, Thomas would tell us to know the faith well, but allow the faith to be a point of encounter with the Lord in a contemporary way. No good Catholic would hold to knowing nothing of the content of Divine Revelation. Jesus, indeed, is contemporary with our daily existence. What Thomas Aquinas has given us is a map by which we come to understand the Divine Mystery through charity. Charity is key to the Dominican charism for the Church and for our daily living of our Catholic faith. No charity, no real belief in Jesus Christ as Messiah. There is no via media here. The point: don’t confuse the map for the road on which to walk. I sometimes think we lack good contemporary lay models of holiness among the saints and blesseds of our Church. Certainly, there are more contemporary saints taken from the priests and religious than among the laity. Pope John Paul II felt similarly and asked the Congregation for Saints (and local bishops) to find us more lay saints. They did in Pier Giorgio Frassati (1901-1925). He’s known as “explosion of joy,” “a Man of the Beatitudes,” a natural man. The Church honors Frassati with a liturgical memorial on July 4. 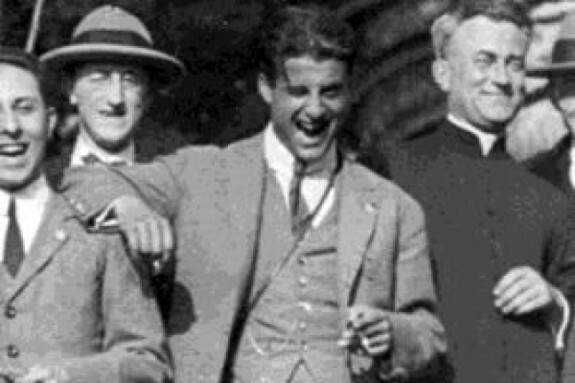 Frassati’s Luciana said, “He represented the finest in Christian youth: pure, happy, enthusiastic about everything that is good and beautiful.” And that “He gave his whole self, both in prayer and in action, in service to Christ.” Frassati’s prayer life consisted but not limited to praying the morning offering, the daily rosary, Eucharistic adoration, lectio divina. His prayer life was made visible in his concern with the poorest people of Turin. In his following Jesus Christ Blessed Pier Giorgio was a member of the lay Third Order Dominican. Brandon Vogt’s interview with Seattle’s Archbishop Peter Sartain, “Pier Giorgio Frassati, Man of the Beatitudes: An Interview with Archbishop Peter Sartain” sheds some light on getting to know a blessed of the Church who’s gaining influence. Pray for grace to adhere to Christ and to live in joy from Blessed Pier Giorgio. I am sure he’ll get the Lord to give you what you need. 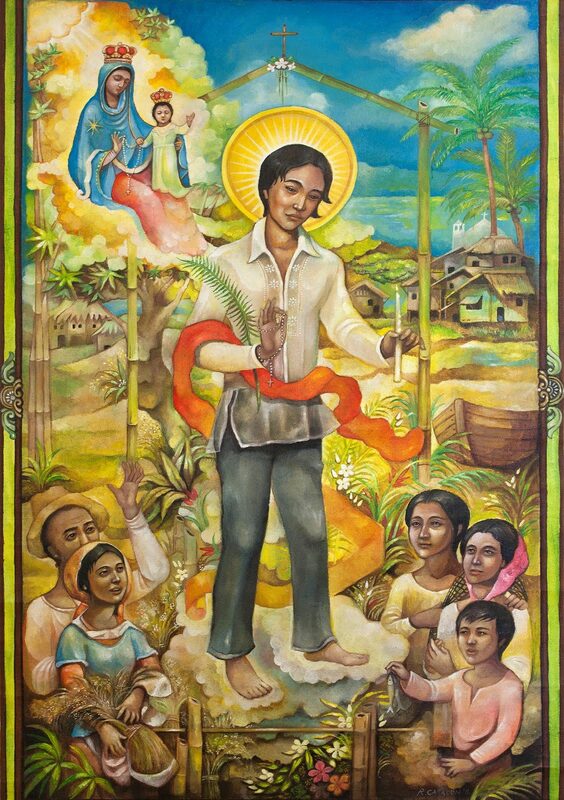 Today is the feast of Saint Lorenzo Ruiz, the first Filipino saint. Grant us, we pray, Lord God, the same perseverance shown by your Martyrs Saint Lawrence Ruiz and his companions in serving you and their neighbor, since those persecuted for the sake of righteousness are blessed in your Kingdom. Lorenzo was a layman, a husband and a father; he was educated by the Dominican friars and a member of the Third Order. He was especially devoted, as you’d expect for someone connected to the Order of Preachers, to the rosary. Because he was unwilling to renounce his faith in Christ, he tortured and later suffered martyred with 14 others for the faith. Lorenzo Ruiz was canonized by John Paul in 1987.